"... never seen the children laugh so much!" is a common comment. This 45 minute circus show features juggling, magic, puppetry and more than a little silliness! I just wanted to say another huge thank you for what you did at school this afternoon. The children thoroughly enjoyed it and I've not seen them laugh that much before. The children have not experienced (nor are they likely to) a circus or a show like you did for them today so it was great to see how much they enjoyed it. 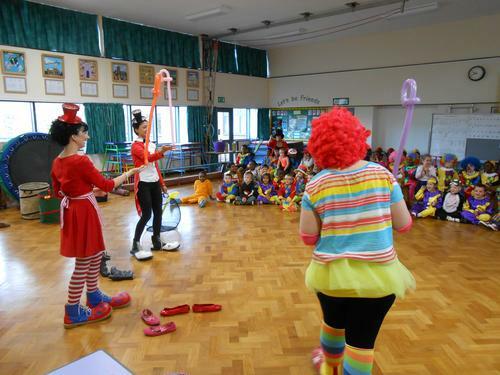 Thank you so much for bringing your Circus show to our school today. The children had a fantastic time (and so did the adults!) and haven't stopped talking about it all afternoon! We all felt so much better after having a good laugh!